Lost your muse? Find her in Bend during Tenth Month 2018! Got a passion for independent film, culture, art, tech, business, or all of the above? Yes, October’s technically the tenth month of the year, but it means something more than that in Bend. Tenth Month is the convergence of premiere events including Swivel Digital and Creative Marketing Conference, BendFilm Festival, Bend Venture Conference, Bend Design Conference, and more (including a pretty killer art exhibit at the High Desert Museum). Ready to find your muse? Here’s where to look for her this October in Bend. Re-discover your muse at the annual Swivel conference in Bend. Is your muse hiding under a table at the Swivel conference? 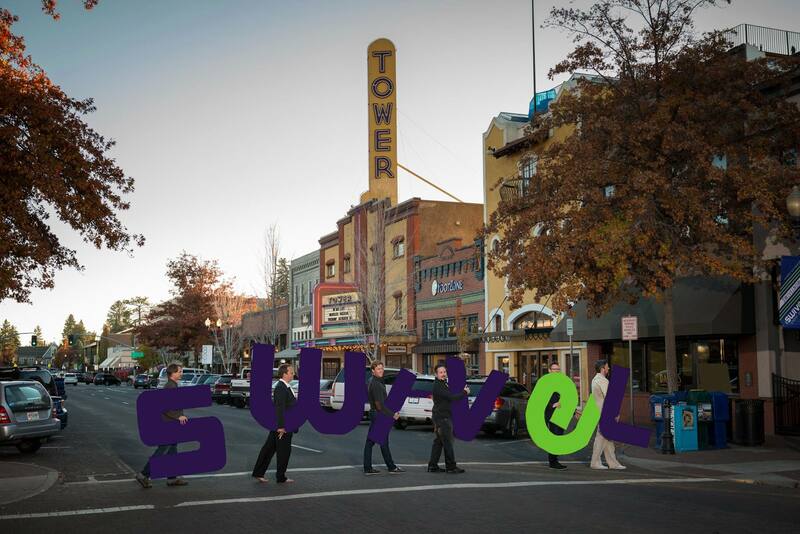 The Swivel Digital and Creative Marketing Conference has been going strong in Bend for years, and the 2018 event is slated for Oct. 8-9. Swivel is a fun mashup of education, entertainment, and insights about what’s happening in the wide world of marketing. The event attracts some of the top speakers in the industry, and the after-parties and breakout events offer a great way to mix and mingle. You can scope out the agenda here, and the list of speakers here. As someone who’s attended multiple Swivel events, I can tell you it’s worthwhile to splurge on the full event package (rather than individual days or presentations) to get the most bang for your buck. You’ll come out feeling fired up and ready to take on the marketing world! Is your muse tucked behind the silver screen at BendFilm? If I’m allowed to play favorites here, I’ll say right now that BendFilm Festival is one of my absolute top Bend events (high praise, considering I’m normally not much of a film buff). The BendFilm Festival is the ultimate experience for creatives and cinema buffs. Buy tickets or line up early to ensure you get a seat. 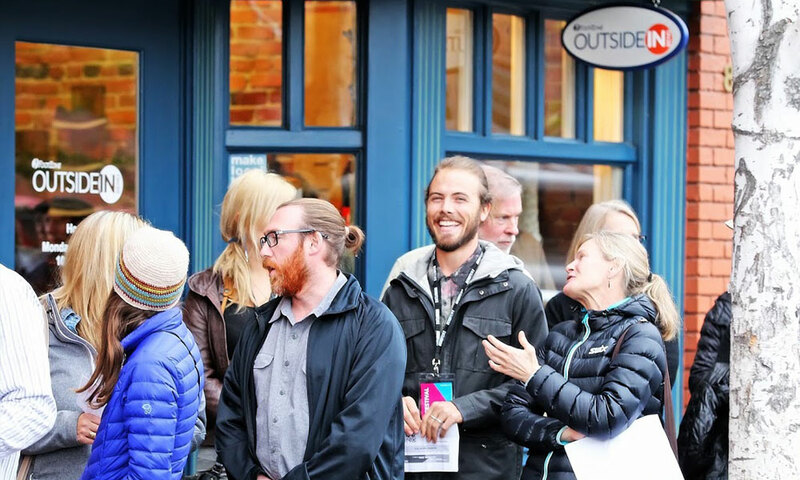 But BendFilm Festival is the perfect chance to explore Bend’s cultural side, and to get a gander at all the bright fall colors as you wander between venues. The films themselves are the perfect blend of daring, adventurous, fun, and engaging independent cinema, and they run the gamut from documentaries to animated shorts to full-length narrative and everything in between. While the films and breakout parties are outstanding, it’s the venues that really make the festival special. Snuggle on a sofa at McMenamins or Volcanic Theatre Pub, or get cozy in one of the historic theaters sprinkled around Downtown Bend. You can scope out a list of films and buy passes here. This year’s festival takes place Oct. 11-14, and I highly recommend attending the opening night film and kickoff party. Pro tip: If there’s a film you really want to see, reserve your spot early. Popular films can fill up fast, especially at the smaller venues. Is your muse rehearsing to blow you away at Bend Venture Conference? 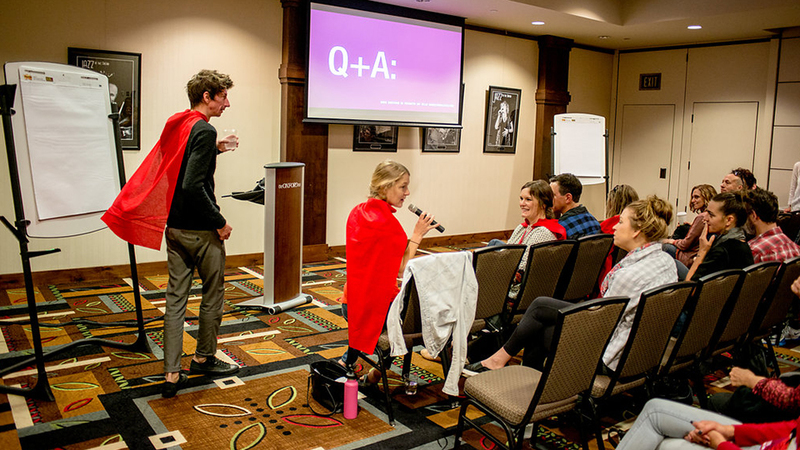 Touted as the largest angel conference in the West, Bend Venture Conference is one of the most high-energy hotbeds of entrepreneurial energy you’ll ever encounter. 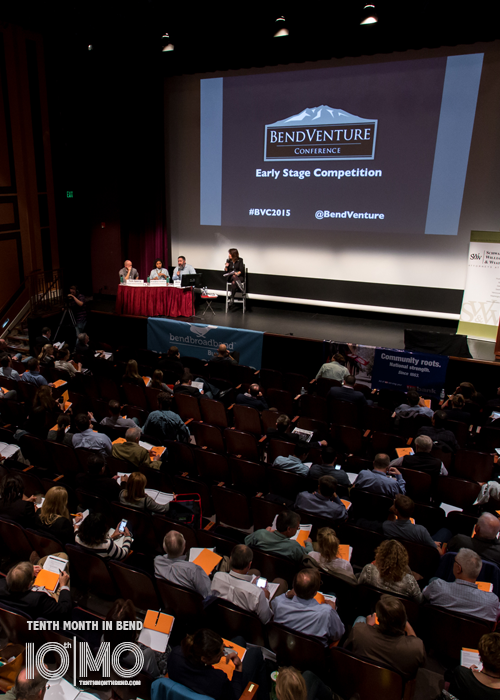 Bend Venture Conference is fast-paced entrepreneurial fun at the historic Tower Theatre. Whether you’re an investor, a presenter, or just a guest there to watch the fast-paced excitement of people chasing their dreams, you’ll want to mark October 18-19 on your calendar for 2018. The event has been held at the historic Tower Theatre since its inception in 2004, so it’s a great chance to get a peek inside this renovated ArtDeco Moderne facility. Bonus: You’re just a few steps from scenic Drake Park, so take your breaks on a park bench with lunch from Worthy Taps and Tacos or a cup of joe from nearby Bellatazza. For more details on this year’s schedule, go here. Is your muse sketching something clever at Bend Design Conference? You’ll definitely find your muse at the Bend Design Conference. “Design” is almost as broad a term as “art,” and that’s the point. The annual Bend Design Conference (slated for October 25-27 in 2018) is not just for graphic or fashion designers, but also architects, scientists, engineers, entrepreneurs, trades professionals, educators, students, researchers, executives, musicians, writers, civic leaders, city planners, activists, and citizens. That’s a pretty wide spectrum, and it’s a pretty exciting conference. Bend Design is three days of keynote talks, workshops, exhibits, and more, designed to energize participants to improve communities through creative thinking and action. This year’s topics touch on themes of how design thinking can address larger societal problems and ultimately shape our future. Go here to learn more and to register for Bend Design Conference. 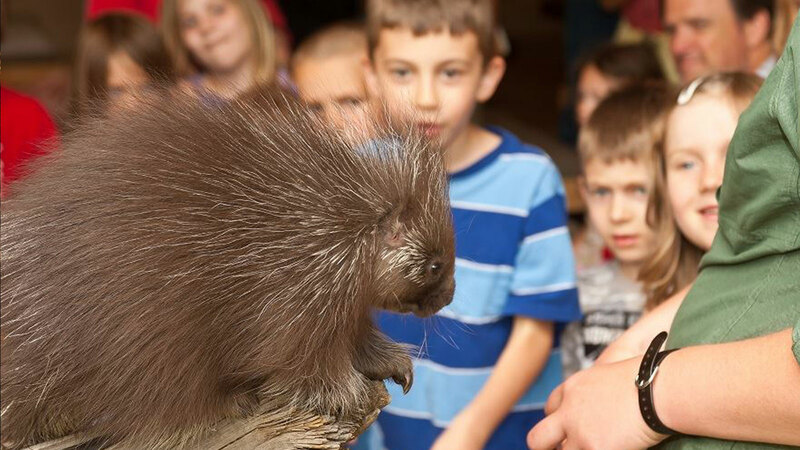 Enjoy both art and critters at the High Desert Museum. Getting into the spirit of Tenth Month, a number of local galleries and museums are offering special exhibits and attractions geared toward arts and culture during this special month-long celebration. At the High Desert Museum, they’re showcasing an exciting photography exhibit the entire month of October. the By Her Hand: Native American Women, Their Art and the Photographs of Edward S. Curtis. The exhibit is open to the public with paid admission to the High Desert Museum. Be sure to check their online schedule so you can time out your visit to enjoy an Otter Encounter or their legendary Birds of Prey Experience.